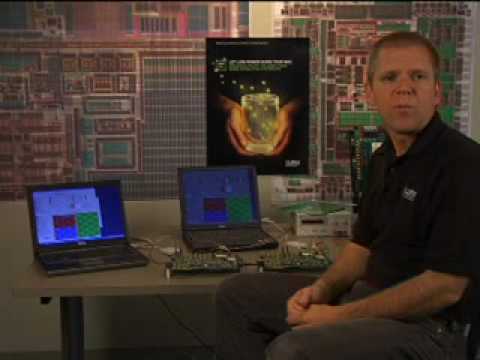 San Jose, Calif., - April 7, 2014– Altera Corporation (Nasdaq: ALTR) today announced the availability of a new power conversion solution that makes it easy for board developers to design point-of-load power solutions and achieve the highest FPGA performance at the lowest system power. The new power conversion solution, a monolithic 40A driver plus synchronous MOSFET powertrain, is optimized to meet the core requirements of Altera’s high-performance Stratix® V, Arria® 10, and Stratix® 10 FPGAs and SoCs. It offers systems designers the high-density, high-efficiency power conversion they require when integrating high-performance FPGAs into their system. The new powertrain, (part number ET4040), meets the stringent core voltage requirements of high-performance FPGAs, processors and memory. Systems designers can leverage the 40A powertrain to efficiently power the FPGA’s core supply rails in single-phase or multiphase configurations. It can also be used in VDDQ supply rails for DDR3, DDR4, and QDR memories as well as supplying all high-current supply rails for ASIC and ASSPs that are used in high-end servers and communications infrastructure systems. The ET4040 powertrain offers 40A continuous output current over industrial temperature range (-40C - + 85C) and across an input range of 4.5V to 14 V. It delivers low Rds-on and low switching loss while enabling high efficiency at high frequencies (up to 3 MHz switching frequency). The device’s on-board monolithic current sense enables use of a lower loss inductor for better system efficiency while also providing a vast improvement in reliability and thermal performance over competing solutions on the market. The Altera ET4040 monolithic 40A Driver plus synchronous MOSFET is available now. Altera® programmable solutions enable designers of electronic systems to rapidly and cost effectively innovate, differentiate and win in their markets. Altera offers FPGAs, SoCs, CPLDs, ASICs and complementary technologies, such as power management, to provide high-value solutions to customers worldwide.